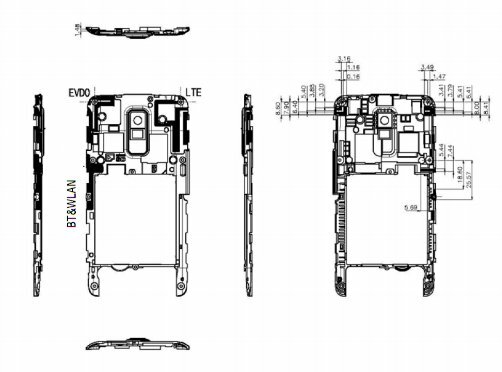 New LG Revolution 2 Makes Its Way Through FCC? We first saw a new LG Revolution-esque model pop up when we reported on a device by the model number LG-VS920 that had appeared in a MAP (minimum advertised price) listing back in early August. That device, we started assuming, was called the Revolution 2 as it appeared in a massive leaked roadmap for Verizon just a day or so later with a 10/20 release date attached to it. Well, that same VS920 phone made its way through the FCC today sporting LTE radios and a similar build to the original Revo. You can see in the picture above that the camera has possibly been moved up the back of the device, but is still centered in the middle along with a housing for a flash. A Thunderbolt (Vigor) and a Revolution (Revo2) revamping all within the same year? And you wonder why we kept hammering on these phones for having last year’s specs with this year’s buzz word (4G LTE). Monday Poll: Must Have Android Apps Of The Last Month Are?